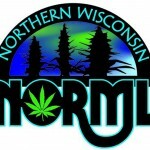 Northern Wisconsin NORML meets on the 2nd Thursday of each month for food, fellowship and public meeting. The next meeting will be held on Thursday, November 8th, 2012. Check the calendar of events often for updates, items to bring to the meeting and to confirm agendas. From 4:20pm to 5:30pm we enjoy fellowship as an informal group of supporters gathering together prior to our meeting. We meet at the Harmony Cafe in Appleton, which has food and beverages available for sale. At 5:30pm we begin our general meeting, which goes until 6:30pm, sometimes finishing early, but we have the room reserved up till 8pm in case we need to go longer. Meetings are also broadcast over the Internet via Google + Hangouts. 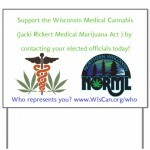 The chapter will post a link on the Northern Wisconsin NORML Official Facebook Page once we are live. Membership is the key to being a strong chapter and we are currently looking for field directors in Northern counties of Wisconsin to work with the Treasurer and fundraising team on specific projects, please contact us at NorthernWiNORML@gmail.com if interested in assisting. If you live in or would like to work in the Vilas, Oneida, Iron, Ashland, Forest, Florence or Sawyer Counties, please include the name of the county in the subject line of your email. Meetings are open to the general public and you need not a be a member to attend. Meetings will be archived and available for viewing on the Northern Wisconsin NORML YouTube Channel. NOTE: YOU WILL NOT BE ON CAMERA UNLESS YOU WANT TO BE, ONLY BOARD OF DIRECTORS MODERATING THE MEETING ARE BROADCAST.